You may want to explore the best Medicare Supplement plans in New Jersey if you are one of the approximately 1.5 million seniors enrolled in Medicare Part A and Part B. Medicare Supplement plans cover many expenses that Original Medicare does not pay, including deductibles, coinsurance, co-pays, and excess charges. If you’re having trouble comparing Medicare Supplement plans in New Jersey, we can help. Use our quote box on this page simply give us a call. 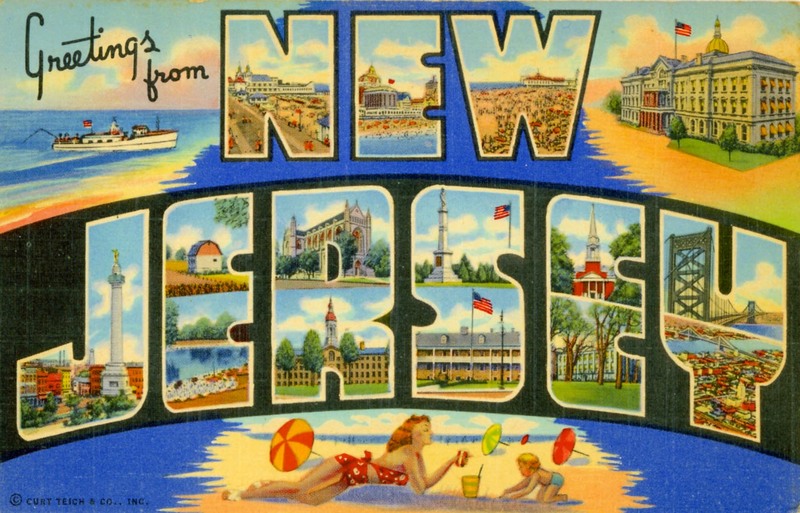 According to the U.S. Census Bureau, the population of New Jersey was 8,944,469 in 2016. Approximately 15.3 percent of New Jersey’s population is aged 65 or older, an increase of roughly 2 percent from 2010. The average age of retirement in NJ is 65. To apply for a Medigap plan, you must enroll in Medicare Part A and Part B first. The best time to apply for Medicare Supplement plan is during your six-month Medigap Open Enrollment Period or OEP. This period starts the month you turn 65 and enroll in Medicare Part B. You only get one open enrollment period, so it is important to be aware of when it starts. During Medigap Open Enrollment Period, you can select any Medicare Supplement plan in New Jersey that you like. Insurance companies must sell you a policy and cannot charge a higher premium even if you have a preexisting condition. However, they can impose a waiting period. An employer health insurance plan is ending. Your Medicare Supplement plan in New Jersey ends or stops providing coverage. Joined a Medicare Advantage plan when you turned 65 and wanted to switch to a Medigap plan within 12 months. Have a Select Plan or MA policy and move out of the coverage area. Dropped a Medicare Supplement plan to join an MA plan and want to switch back within one year. Other situations may allow guaranteed issue rights. Each situation has time limitations, and some conditions allow enrollment in specific Medicare Supplement plans in New Jersey, not all 10. Where the premiums increase in cost as you get older. Where the cost of a plan is the same for all participants regardless of age. Where the age determines your cost when you first enroll but will not increase as you age. Past state data shows 85 percent of Medicare Supplement plans were attained-age and 15 percent were community rated. New Jersey offers all 10 Medicare Supplement plans. Each lettered plan provides specific coverage and benefits. To determine which are the best Medigap plans, you must evaluate your health needs and finances. There is no one best plan. Covers everything that Plan F covers except the annual deductible for Medicare Part B, which is $183 in 2017. Does not cover excess charges or the annual deductible for Medicare Part B. With Plan N, you also pay a $20 co-payment for each office visit and a $50 co-payment for each emergency room visit that does not result in a hospital stay. One of the benefits of a Medicare Supplement plan is its flexibility. You can use the Medigap plan anywhere in the U.S. There are no provider networks, so you are not limited to particular hospitals or doctors. Also, there are no referrals required. You can see any specialist who accepts Medicare. If a provider does not accept assignment of Medicare benefits, you will pay for excess charges, or the amount the doctor charges over Medicare assigned rates. This charge is limited to 15 percent over the amount a non-participating provider receives. As noted above, some Medicare Supplement plans cover excess charges. If you move to another state, you may be able to keep the same plan as long as you continue your enrollment in Original Medicare. If you want to change to another Medicare Supplement plan, the rules for guaranteed issue rights may apply. The rates for the new plan may vary. It may be confusing to read reviews, compare coverage information and evaluate Medicare Supplement rates for each of the 10 Supplement plans offered in New Jersey. We can help you compare quotes from providers in your area. We will help you evaluate your medical requirements and financial situation to find the best Medicare Supplement plan to suit your needs. Simply use the drop-down menus on our site to get started. Select your state and follow the prompts. If you prefer, you can speak to a Medicare specialist who can walk you through the steps to help you enroll. Your application can be completed online or over the telephone.